This unique ability empowers you to safely enable applications, make informed decisions on network access, and strengthen your network security. 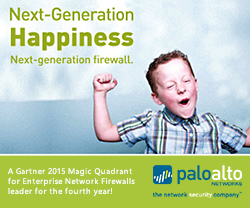 Palo Alto Networks next-generation firewalls provide flexible deployment options for your network. Firewall platforms, available in hardware and virtualised platforms, support the same consistent next-generation firewall features available in PAN-OSTM. In addition, Panorama management platforms for centralised policy and device management over a network of next-generation firewalls are also available in both virtualised and hardware platforms. 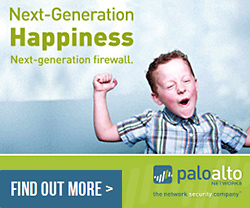 Palo Alto Networks offers a range of next-generation firewalls. 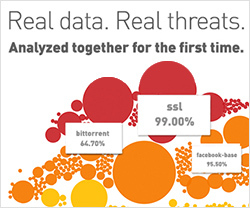 Find out how our firewalls safely enable your business, improve network security, and simplify your workload. 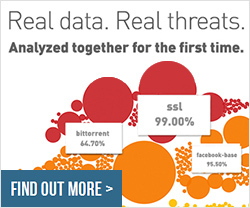 Find out which firewall platform can best protect your users, content, and applications. Learn more about the Panorama dedicated appliance or virtual applicant deployment options. Protect your virtualised datacenter and ‘East-West’ traffic with one of three virtualised Palo Alto Networks next-generation firewalls. Extend the capabilities of your Palo Alto Networks firewalls with WildFire, which identifies, analyzes, and blocks known and unknown malware. Panorama provides centralised policy and device management over a network of Palo Alto Networks™ next-generation firewalls. The Palo Alto Networks™ VM-Series extends secure application enablement into virtualised environments while addressing key virtualisation security challenges: tracking security policies to virtual machine movement with dynamic address objects and integration with orchestration systems using a powerful XML management API. Krome Technologies can provide you with an online or onsite demonstration specifically showing you the fundamentals of Palo Alto Networks solutions, these demonstrations can be tailored to show you whatever you want to review, our consultants can give you a brief overview demonstration or deep dive technically depending on your interest, requirement or specific requests. Alternatively we can organise for an evaluation unit to be sent to you for an agreed period to run on your own network. Once we have received the request, we will endeavor to contact you within 24hours to discuss your demo requirements and schedule a convenient time for your Palo Alto Networks demo or evaluation to take place. Krome are a Palo Alto Networks Gold Accredited Reseller Partner. Our technical expertise around Palo Alto Networks is unrivaled, offering Palo Alto Networks Solution Design, Palo Alto Networks Implementation, Palo Alto Networks Consultancy and Palo Alto Networks Support Services.